The book details the Organisation’s conservative middle years and its recent emergence as one of the most vocal protagonists for nurses, midwives and patients in Ireland, while also exploring the vast and varied service that the Organisation provides to its members. Or buy the eBook > ISBN:9781788550628. Categories: Social History, Medical, IAP. In February 1919, 20 nurses and midwives meeting in Dublin to discuss their poor working conditions took a historic decision to establish a trade union – the first of its kind in the world. The Irish Nurses and Midwives Organisation (INMO) now numbers 40,000 and is Ireland’s largest nurse and midwife representative association. This book examines the heady social and economic backdrop that gave birth to the INMO, putting names and faces to the founders and delving into the challenges they encountered. It details the Organisation’s conservative middle years and its recent emergence as one of the most vocal protagonists for nurses, midwives and patients in Ireland, while also exploring the vast and varied service that the Organisation provides to its members. The prospect of a nurses’ or midwives’ strike always raises concerns for patient welfare, and the book looks closely at how the INMO has negotiated this tension, most especially during the 1999 national nurses’ strike – one of the largest strikes in Irish history. 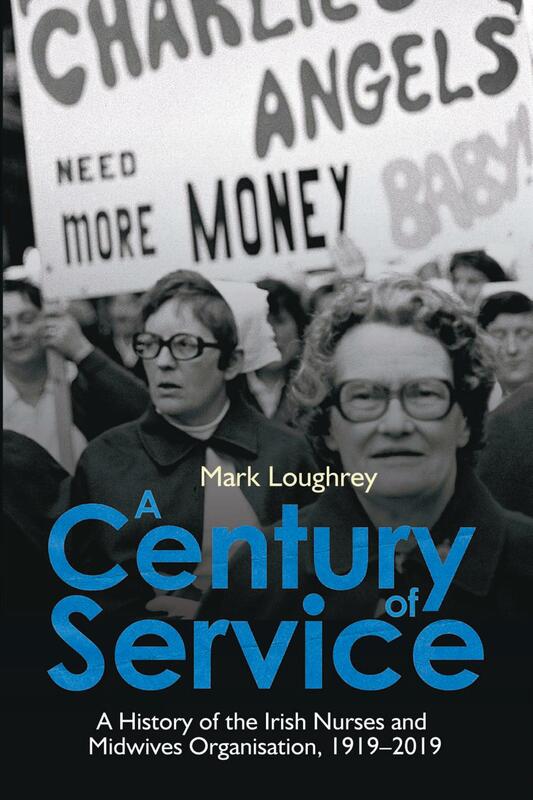 A Century of Service is brought to life by a fascinating series of in-depth interviews with the INMO’s members and leaders in a story of an organisation that with talent, tact and tenacity is delivering despite the odds. Mark Loughrey trained as a general nurse at St Vincent’s Hospital, Dublin, before specialising in intensive care nursing. He currently works as a research nurse. Mark holds postgraduate qualifications in intensive care nursing from UCD and a master’s degree in nursing from UCC. In 2011 he was awarded a PhD scholarship by the Irish Nurses’ and Midwives’ Organisation. He graduated with a PhD in history from UCD in 2015.